How much do we value Love and Truth? Pure Love. Gate Love. Divine Supreme Consciousness Love. How much do we value it? We have choice and free-will to saturate, to permeate, to live in this pure Love. No effort. 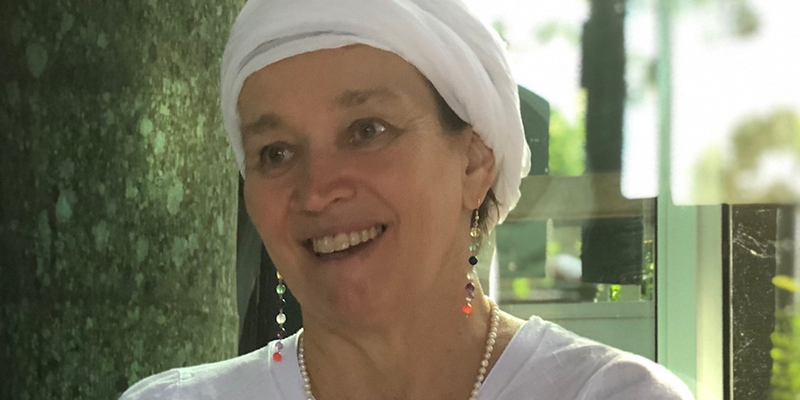 When you attend a retreat or a meeting with Pia she offers you sincere dedicated support in effortlessly steering you home deeper into your inner most Essence. Pia’s depth of conscious Presence steers you, shines the Light and in that moment the unseen within you can surface, be sighted-touched and transcended within the instant. The bindings of everyday life can simply fall away. The direct experience is Spaciousness. Pia utilises and shares the Art of exercising innate tools, self-inquiry, listening and surrendering without effort so you exercise your own innate capacity to return-deepen within the instant into the core of your Being. A place of open discovery that is not predicable within the direct experience and brings with it Freshness. This experience remains with you, regardless at first there may be times you forget, there will be ‘your experience in itself’ that remains and will call you back to your core of Being as an Ally-resource to draw upon well after the meeting. The opportunity to see our innate capacity as a resource and to draw upon as needed, our treasures within. To truly live beyond the identified-self. To really live freely as a spiritual Being. Effortlessly deeply in your Sacred Heart Presence. Our true-essence calls us all home, calls us to utilise our innate capacities. The Sacred that is within all of us awaits not only our open discovery and remembering who we really are, importantly awaits our spiritual maturity to ground-bring forth our Essence in everyday life. Our innate capacity is to transcend all what we meet in the everyday so we can truly live free. To live in Conscious creativity, Conscious response in every aspect of our life free from the binding energy. Bindings can be subtle yet bindings are bindings that interweave at times unconsciously much more than we realise, entangle our energy within the identified-self-mind-emotions-ego-conditioning. Here we have the capacity to exercise show ourselves to ourselves transcend-ascend within an instant. To come on board with our Human capacity. Pia’s guidance and sharing tools brings your attention to no effort and your innate capacity. How we can steer ourselves as needed into depths beyond our self and maintain open connectedness is profound and will express-show up in everyday life experiences. Freedom beyond your imagined. Your capacity to play with effortlessly transcending so you are in the direct experience of the constant silence-spaciousness shining Consciousness Light. Sacred. Pia recognises conscious streaming at the age of four. Her life is an experience of diverse people even complete strangers are drawn to her Presence. Her capacity is clearly within the Light of Consciousness. As a young adult she travelled and lived worldly including Asia, the Himalayas and North America which unfolded deep remembering. Pia naturally started holding spiritual programs. Residing in Australia, Pia travels internationally holding programs, she is well treasured for her Presence within the Boundless Sacred.